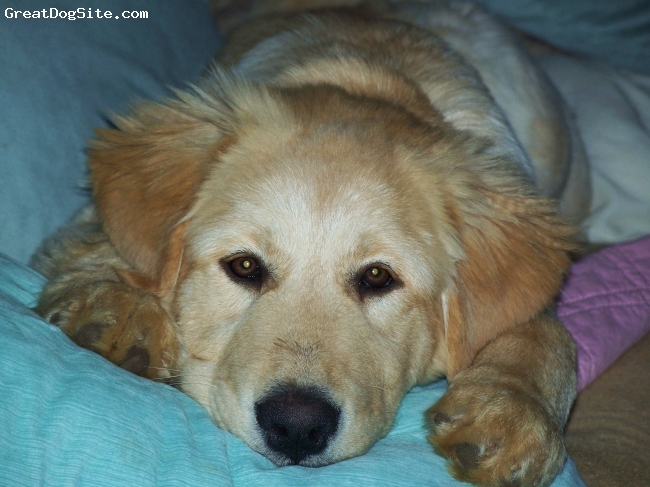 Description: This is my Golden Pyrenees puppy Shiloh. She's a big girl at 48 lbs. She's 4 1/2 months old in the picture. She is very intelligent, gentle and fun! Loves the water! !